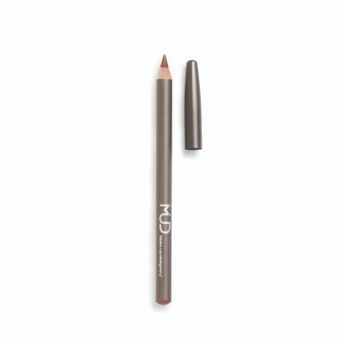 MUD's versatile Eye Pencils effortlessly glide on smoothly and deliver impactful results. This dual-purpose eye pencil is soft enough to line the eyes, yet firm enough to define brows. The color payoff is intense, whether lining eyes precisely or shaping and filling in brows. It is available in natural, pigment-rich colors to complement every skin tone. Precise and one stroke application. Available in pigmented complementing colors. Auburn - A warm, red-brown color. Black - A dark, rich shade of black, Great for a dramatic evening look. Black Forest - An ultra-dark, green-black color with a hint of shimmer. Rich Brown - A dark, chocolate brown color. Taupe - A soft, neutral brown color. Vintage - A warm, medium brown color with a hint of shimmer, A universal color that makes the eyes pop. Alternatively, you can also find many more products from the MUD Eye Pencil range.